On Thursday 12th April 2018, the Holy Father Francis has granted his assent to the canonical election by the Synod of Bishops of the Ukrainian Greek-Catholic Church of Rev. Fr. Petro Loza, C.Ss.R, currently administrator of the parish of Saints Peter and Paul in Chernihiv, archieparchy of Kyiv, to the office of auxiliary of Sokal-Zhovkva of the Ukrainians, assigning him the titular see of Panio. Rev. Fr. Petro Loza, C.Ss.R. The Rev. Fr. Petro Loza was born on 3 June 1979 in Kolodyantsi, in the Lviv region. In 1997 he entered the Congregation of the Most Holy Redeemer, and gave his perpetual vows in 2003. He began his priestly formation in the Seminary of the Redemptorist Fathers in Lviv (1998-2001) and completed his theological studies at the University of Innsbruck in Austria (2001-2009). Following priestly ordination, received on 26 August 2007, he performed his pastoral ministry as vice-priest in Vinnytsa and later as parish administrator in Hnizdychiv-Kohavyno. From 2011 to 2014 he was also provincial counsellor in his own religious Congregation. 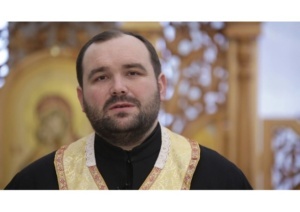 Since 2014 he has served as parish administrator of Saints Peter and Paul in Chernihiv and, at the same time, chaplain of the two prisons of the same city. In addition to Ukrainian, he knows Russian, Polish and German.